An effectively managed warehouse can make all the difference to productivity within your business. It’s easy to overlook, but simply being organised can benefit you in numerous different ways. All these benefits will help you massively and can be achieved by implementing some very simple steps within your workflow. Here’s a look at some of the best ways of achieving a more correctly managed warehouse inventory. Every inch of your warehouse costs you money in rent, electricity and other utilities. Any inch unnecessarily walked by your workforce also costs you money in the form of time and effort. By planning your space effectively, you can create the most efficient routes for your staff and stock, thereby saving money and time. It also means that you won’t run out of space easily. 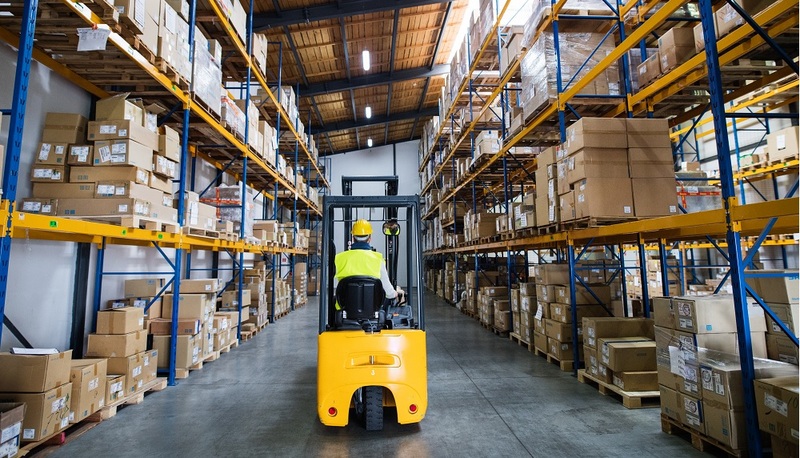 Safety issues can also be reduced through this method, thanks to allowing adequate space for forklifts or other weight-carrying machines to move around. Tying into the earlier point, certain stock will be more frequently used than other stock. Plan your warehouse space with these items in mind. Don’t put the most commonly used items in a distant corner of the warehouse – place them in an easy to access location. By prioritising fast-moving stock, you reduce the time it takes to load and unload such produce. All businesses have different seasonal demands. Plan ahead and accordingly for yours. Certain times of year will be busier than other times, so you want your stock levels to reflect that. Forecast the demand based on historical trends, and ensure that your stock is maintained at an optimal level for that time period. Business needs change over time. What may have worked for your warehouse and business in the early days may not work in later years. Audit how your warehouse is run every year, updating what stock is available and what may have gone missing. Evaluate whether changes need to be made to make it run more effectively. Consult with senior staff members when possible, and see if they’re able to suggest where improvements can be made. Bin locations are a way to divide up segments of your warehouse, as a form of geographical map of where all the stock is laid out. Use them to manage things most effectively, so that staff quickly know where products should be. A well-designed warehouse should be simple to navigate – even if you’ve never visited it before – simply by using bin locations. Label every piece of stock in the warehouse. Known as SKU (stock keeping unit) numbers, clear labels will ensure that it’s easy to identify products, before moving or shipping them. It’s also possible to use a barcode system, depending on the needs and size of your business. Whatever you use, ensure it’s up to date and that no numbers are re-used inappropriately. Cross docking is a form of supply-chain management process that reduces the shelf storage time of stock. Essentially, it involves unloading material from an incoming vehicle, before immediately and directly loading those same materials onto outbound lorries or trucks. That means a quick turnaround for your business, saving time and money. It’s not ideal for all situations, but it’s worth implementing for certain stock. Staff that understand the warehouse inventory system will keep to it better, and therefore run the place more efficiently. By having knowledgeable staff, you can ensure that your workforce maintains a properly organised warehouse inventory. Otherwise, standards can slip. A safer warehouse is also a more efficient warehouse. Implement regular training and awareness courses. Staff that know how to use equipment properly and safely typically keep warehouses running more efficiently and better managed. Similarly, ensure that danger zones are marked out, and safety protocol is at the forefront of everyone’s minds. David Davies is managing director of Bluetrolley™, which specialises in bespoke, affordable, high quality material handling equipment. You got me when you said that it will be easy for you to identify your products if you will consider labeling them. I will share this with my dad because he wants to rent a warehouse. He said that he wants to be an auto parts supplier in the future. Since he wants to make sure that inventory is going to be easy, I’m sure that he will appreciate your tips.